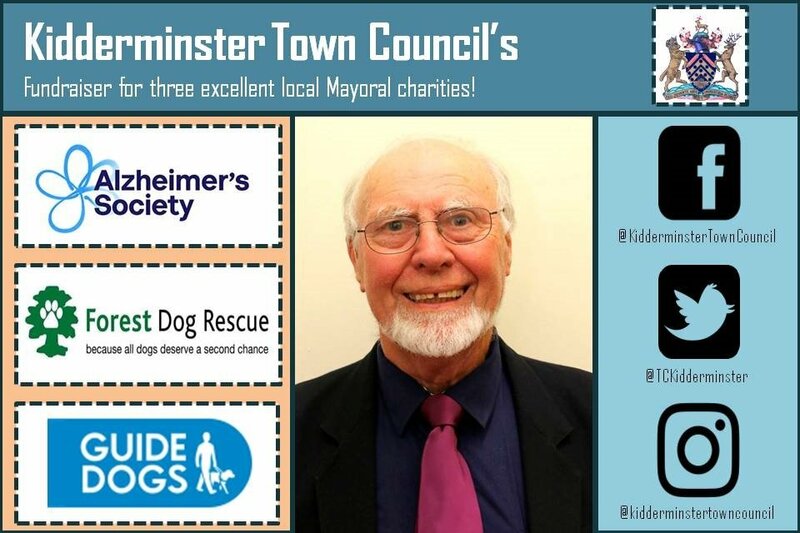 Each Mayoral year in Kidderminster, the Mayor chooses charities within the community to support and fundraise for. Forest Dog Rescue - providing much needed care and a safe haven to unwanted, abandoned and mistreated dogs from across the Midlands. Alzheimer's Society - The UK’s leading dementia charity. They provide information and support, improve care, fund research and create lasting change for people affected by dementia. Guide Dogs UK - Build extraordinary partnerships for every person who is blind and partially sighted, offering guide dogs, young people’s services, emotional support for coping with the loss of your dog, volunteer speaker service and more. This page will be up for the duration of the Mayor's term, ending in 2019. Finally, thank you so much for your donation. These are fantastic causes and your help and support is appreciated. Please spread the word with friends, family or on social media, as we really do want to raise as much money as possible for these fantastic chosen charities!